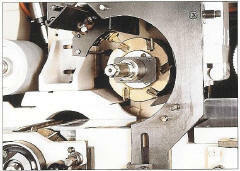 duty milling applications. 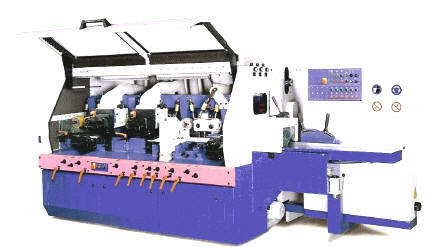 With a capacity of finishing 6"x12". 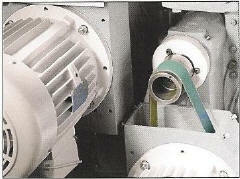 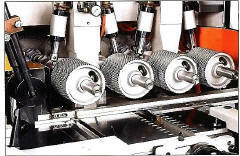 All control levers for the spindles are located at the front for the machine for convenient adjustment. 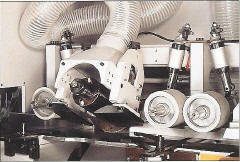 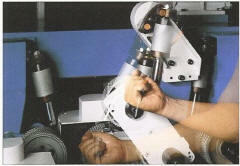 Each spindle is provided with a mechanical digital readout, giving accurate adjustment. 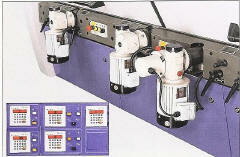 The in-feed table and fence are conveniently adjusted by the separate control levers. 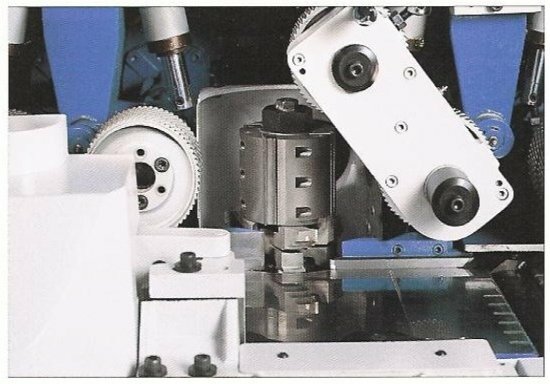 The pressure roller for short stock can be raised quickly providing maximum convenience while changing the fence side cutterhead. 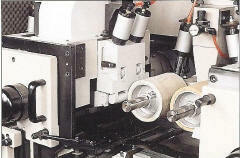 Allows two or more setups on the vertical spindle saving time on the tool changes. 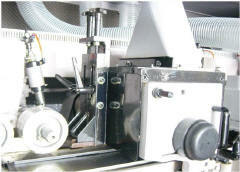 The 80mm adjustment is ideal for utilizing the full 80mm length of a planing head.